Just a few days ago, we announced our new command line client. We just did a new release, and are proud to announce that it learned a few new tricks. 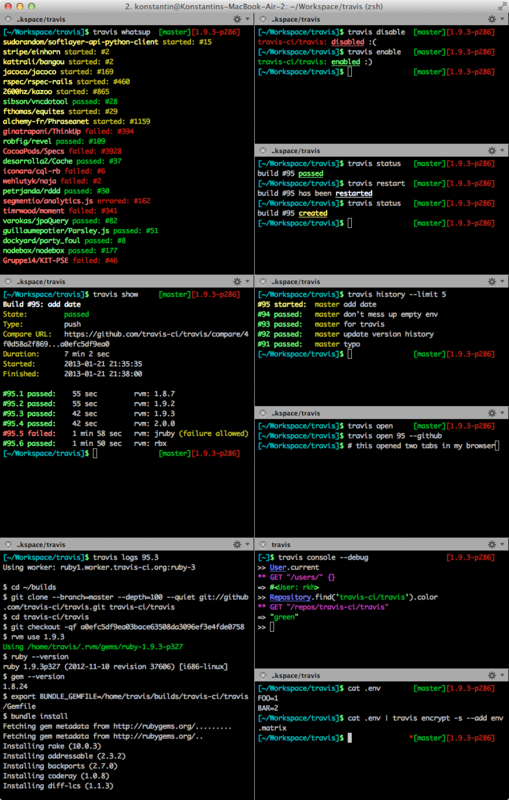 Most of the commands that were part of the new `travis` gem release. disable - disables a project, but why would you want that? Additionally, the underlying Ruby library has seen a lot of improvements, check out the documentation. Now get excited and make things.